In the aftermath of the worst bombing in recent American history, one of the most pressing questions the Boston Police Department, the FBI and an angered American public wanted answered was simply “Who did this?” Who had the nerve to plant bombs near the finish line of the Boston Marathon with an obvious intent to harm cheering spectators and dedicated runners? Who had triggered these bombs that killed three people and wounded almost 300 others? Who should we punish to the fullest extent of the law for this atrocious act committed on Patriots’ Day, an annual civic holiday for Bostonians? Within three days of the bombings, the FBI released visual evidence and asked for the public’s help in identifying the two potential suspects thought to have planted the bombs. The FBI and other law enforcement officials had to look through hours of footage from public and private surveillance cameras in the area in order to reach this conclusion. However, after being released Thursday afternoon, the videos allowed the police to quickly identify the suspects with the help of citizens who sent in clearer photos of the suspects they had coincidentally taken while watching the marathon. By late Thursday night, a wild manhunt ensued that ultimately resulted in the death of one suspect and capture of the other. With footage from local Bostonian surveillance cameras so key in identifying the suspects of the bombing, police chiefs of major cities from Boston to San Francisco clamored to increase the amount of surveillance cameras in order to better protect citizens. Indeed, without the footage of the Boston Marathon bombing, law enforcement agents would have been unable to ask for the public’s help in identifying the suspects, and it most certainly would have taken longer than just three days to capture the suspects. Maybe it is time for metropolises to consider using Big Brother in a limited capacity to save hundreds to thousands from future attacks. Indeed, a few major American cities such as Chicago, San Francisco and New York have already installed surveillance camera systems, with Chicago authorities having access to an estimated 10,000 CCTV (closed circuit television) cameras. Former San Francisco mayor Gavin Newsom also put in 75 cameras on some of the most dangerous street corners in 2005 in an effort to combat crime. New York Police Department’s Lower Manhattan Security Initiative implemented over 4,000 CCTV cameras and license plate readers in New York City. This camera system was able to help identify the suspect of a failed attempt at a Times Square bombing in May 2010 . Although data about the amount of surveillance cameras in a city is often hard to determine due to nondisclosure by local police departments, these figures provide a good estimate of just how extensive these surveillance camera systems are. Indeed, a surveillance system that can monitor anyone and everyone’s moves at any given moment at any given city block raises strong concerns about privacy issues. 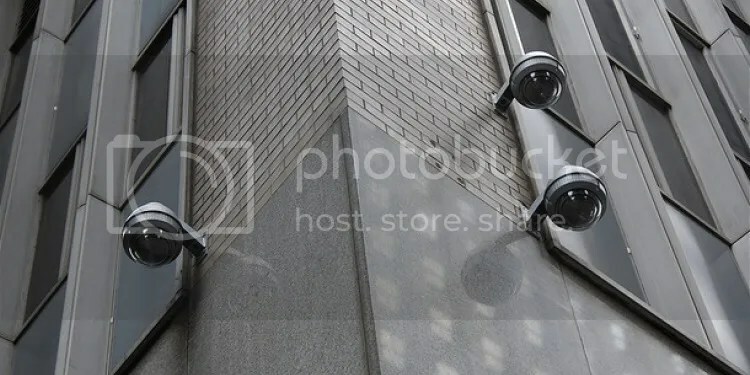 Critics of CCTV camera systems often assert that for the many suspects they may accurately apprehend police must monitor countless innocent citizens. This potentially infringes on the privacy rights of these people who have yet to do anything suspect. But what if the surveillance systems would only be used by police as a tool to monitor public safety in the public sphere? No doubt, the police have the right to actively ensure public safety by monitoring public space by patrolling city streets. No one would argue that a police officer sitting on a park bench looking at any given citizen violates privacy because they are ethically and unobtrusively fulfilling their duty to protect and serve. Thus, in public, where it is expected that a police should be actively looking for suspicious activity in order to preserve public safety, it cannot be said that a person has the right to not be watched. Let’s ask ourselves, “How different is a surveillance system from a physical police officer making rounds on his or her assigned block of the city for the day?” Not very different at all. The camera is not usurping law enforcement officials but merely serving as a tool – an extension of a physical officer. Governmental trespass or violation of the Constitution’s Fourth Amendment – protection against unreasonable search and seizures – occurs when there is a violation of a person’s reasonable expectation of privacy. The use of surveillance cameras, therefore, would not be infringing any individual’s privacy rights since they are surveying public spaces of a city. Other countries have had to develop similar policies about public vs. private space to resolve this dispute between freedom and security. In Taiwan, the New Taipei City Police Department has installed over 13,000 cameras and has plans to add 27,000 high-resolution cameras by 2014. This system allows any citizen to report a crime and have the police review the camera on their street, something my uncle used to identify two teenage boys who egged my grandmother’s apartment. Of course, the police department has set guidelines of how to conduct said monitoring. My grandmother’s street has a sign that says, “This area is under 24 hour surveillance with the purpose of preventing thefts,” along with a tagline of “Everyone has a responsibility to report criminal activity” and a picture of a camera. 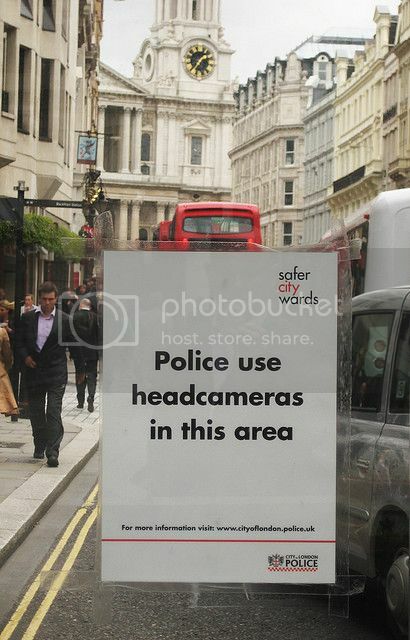 This fully discloses to the public the presence of these cameras. 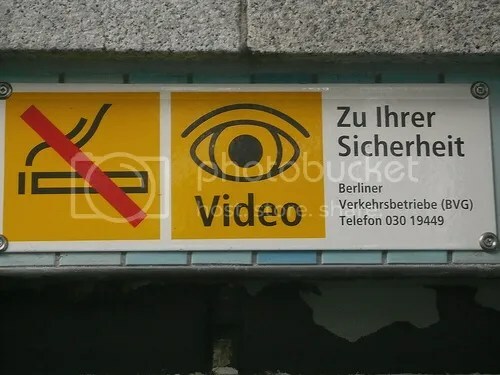 London and other German cities have also put up similar signs. Despite these measures, this public policy has been put to the test in Taiwan when a citizen became disconcerted over the fact a camera was angled toward his backyard. He felt that this was an intrusion of privacy—that it unnerved his family to not be able to enjoy the backyard without entering a panopticon. Since his backyard does not meet the criteria of being a public space nor a place where criminal cases often occur per Article 10 of police law, he can go to a police station and ask for the angle of the camera to be changed. 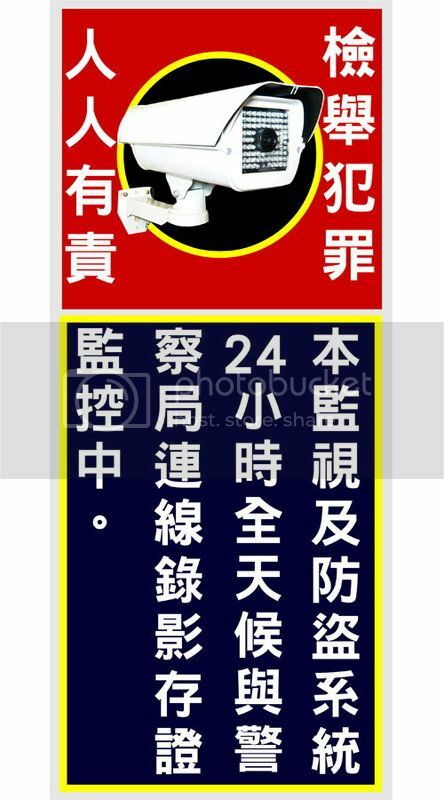 The citizen has a reasonable expectation of privacy in his own backyard, but widespread street monitoring still exists in the most populous city of Taiwan because there is no reasonable expectation of privacy in public places. If we do allow increased implementation, there are still additional, more material challenges that existing and future surveillance camera systems face. For example, the 75 cameras in San Francisco cost an estimated $900,000 after three years, with research done by UC Berkeley in 2009 that contended that the system was not effective at all at reducing crime. However, in other surveillance systems around the world, it can be shown that the benefits outweigh the costs. London constitutes a poignantly successful case in point. In addition to license plate readers that match the numbers to a national database and the ability to identify the driver of each vehicle, police constantly monitor the system in order to stop potential terrorist acts. The system in London costs about $4 million, but this less than one percent of the total cost of damages incurred from two major London bombings in 1992 and 1993 . Moreover, London police are able to read about 48 million license plates a year, find 1-2 stolen vehicles a week and arrest 250 wanted suspects a year compared to only a few stolen vehicles a year before implementation of the system . This efficiency is made possible with the use of over 91,000 cameras throughout London’s boroughs and subway system. With the aid of better facial recognition software and other recognition software such as for package exchanges in New York City, these systems have the potential to aid police forces in quickly identifying culprits of crimes a bit more serious than late vehicle registration. Although privacy concerns and questions of cost-effectiveness still burden citywide surveillance proposals in the long-term, safety and security of American citizens weighs too heavily. Small towns and suburban areas can still be devastatingly affected by similar terrorists with the intent to strike fear, cause mayhem or kill—no one can forget the Sandy Hook Elementary School shooting earlier this year. But, cities have a bigger population in a more condensed area, both in terms of living space in general and during large-scale events such as the Boston Marathon. Having surveillance cameras gives law enforcement officials an eyewitness where there may have been none due to an initial lack of particularly suspicious activity. This is especially true of Boston where there was a lot of people at the event, all were focused on the marathon itself and no one could tell at the time that the suspects were planning an attack. Though some may be uncomfortable with the idea of constantly being watched, Big Brother may prove to be a substantial aid in our time of need when cries for justice demand immediate action from our law enforcement officials. ← WHO WILL WEEP FOR SYRIA?